The GA500 is a new and particularly compact addition to the current generation of inverter drives and is perfect for industrial applications. The handy inverter is said to offer 800 parameters and thus a wide range of functions that help provide the ideal solution for almost any drive application. Moreover, despite its versatility, it can be easily configured in five minutes by answering simple questions. Not only does the inverter's ease of use greatly simplify the commissioning process in industrial production; it also significantly shortens it. What's more, the GA500 is designed to be compatible with all motor types, including permanent magnet motors. 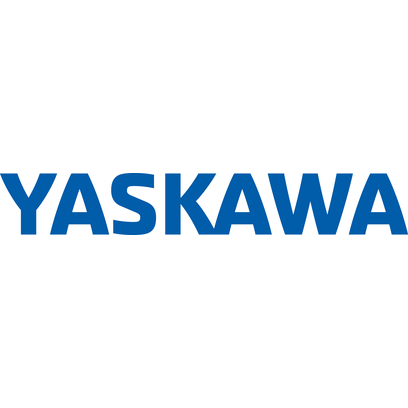 The fact that robotics play such an important role in achieving simple and flexible automation is clearly demonstrated in YASKAWA's wide range of robotic exhibits. The showcased solutions range from machine feeding systems and collaborative robots - some mobile and some mounted on an AGV (automated guided vehicle) – to a collection of planned products from YASKAWA's first line of robotics produced in Europe. Visitors to HANNOVER MESSE 2019 can also check out the prototype of a new and larger Motoman HC20 collaborative robot.